“Let’s be clear. All is illusion. All is illusion on earth and all you can see. All is illusion on earth and all you can hear. All is illusion on earth and all you can smell. All is illusion on earth and all you sense with the five usual senses. “But when you allow yourself the pleasure of tapping into that sixth sense, that one vital ingredient for each human, you begin to see there is more. There is more to the illusion than what one can detect from using only the five usual human senses. Support those who support you. It is as simple as that. For more information or to connect visit Lightworkers Log! Remember, inspiring and informative channels are available in Book of One 🙂 available through the author. Experiences of good often increase when we concentrate on inspirational thoughts. Comments, questions and suggestions welcome at theContact Page.~Support your Self by purchasing an inspiring bedside companion. 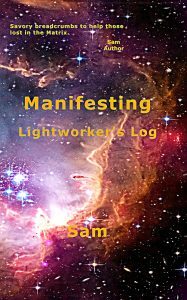 Introducing Book Of One 🙂 Lightworker’s Log Volume 4!~Visit SAM I AM Productions to support your Self and the author by purchasing books there and not through greedy corporations. Loving You! 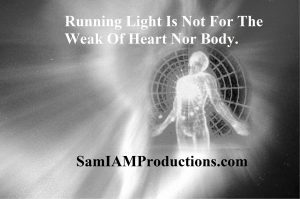 Find other resources at SAM Of Light on Facebook. PS: It’s clear that people and conditions not in alignment with those of us holding New Earth energies (not in the interest of Oneness or the highest good) fall further away from our energy field. This is something I’ve experienced during the past several years. 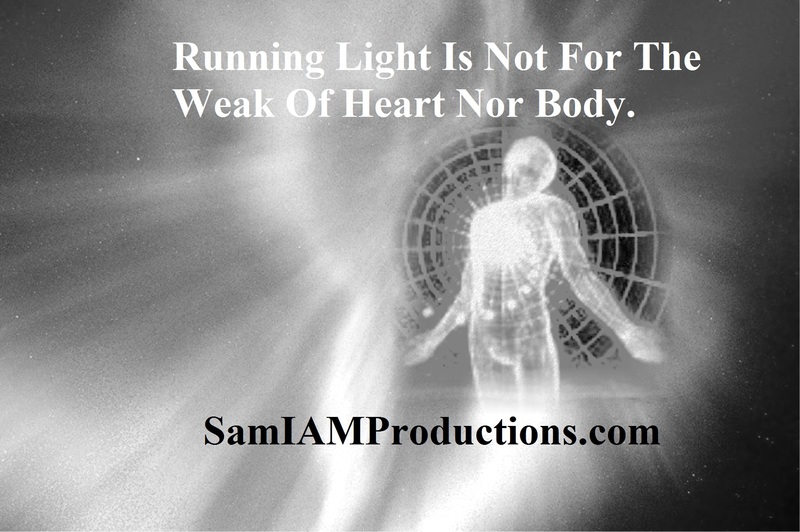 Running light through the physical mind/body system is not for those yet ready to care for themselves. 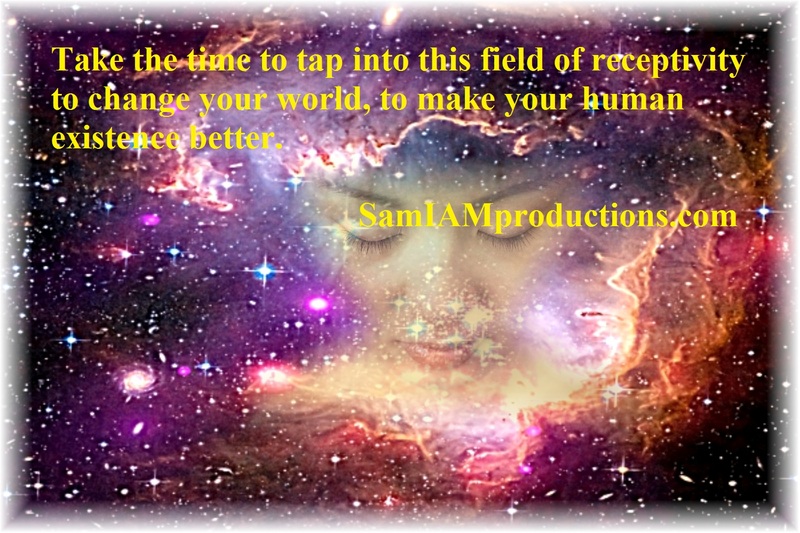 Each energetic boost takes one to a whole new level of lightness, of frequency, if you will. With each burst of the sun, with each movement of planetary consciousness, with each move of earthy realms coalescing with the higher realms, we are building lighter, higher frequency bodies. This is not for the weak of heart or body. And those unable to withstand the now constant onslaught of higher realms energies will leave the planet en masse. They will leave the planet though a variety of means, body dysfunctions, medical mishaps, suicide, natural disasters and terrorist attacks. All those with a weak body and mind will leave as these energies continue to bombard the planet. It is essential to care for oneself. Drink plenty of good quality water (if you can get it); eat lighter foods and meals; abstain from tobacco, excessive alcohol consumption; and negative energies. Keep your living space free of clutter and disarray and know the higher realms are here to assist all those ready to move forward with this new earth game (never before played on any planet, time or realm of space). Know the one you seek lies within you and is now coming forth to lead the way to freedom from the self-imposed enslavement humanity brought on itself by taking on denser and denser forms. The time is now. Be ready to make the change or in coming years leave the planet to play on other realms until ready to return to Oneness in all aspects. “Let’s discuss distractions today, shall we? As mom channels this, she is dealing with the distractions of street traffic, a small dog barking, and people talking periodically. This is the state humanity now finds its self in, dealing with distractions as it tries to recognize the true state of affairs on many different levels. “I’d like to report that this will improve very quickly but, alas, it will not. And that is one reason many of the new souls are coming to earth at this time. That is the reason many older souls are finding themselves in the odd situations they now find themselves in. The reason for these distractions is to help both new and old souls to concentrate amid increasing distractions. 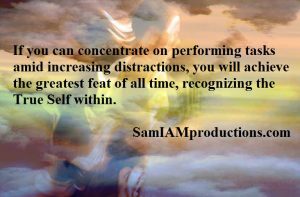 “If you can concentrate on performing tasks amid increasing distractions, you will achieve the greatest feat of all time, recognizing the True Self within. 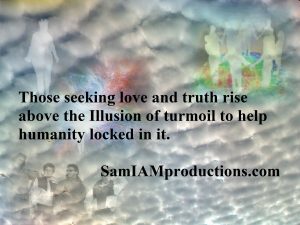 It is this True Self that is being kept at bay by not only those that chose as souls to not recognize it but also by those souls who came in to distract other souls from recognizing the true nature of humanity and thus ending the earth game. “Yes, we are again discussing the end of the earth game as humanity knows it. This will be achieved by those souls who learn to perform amid distractions. So when you find yourself distracted by family, by friends, by world events, by every little thing, know that these distractions are helping you to stop and become more in tune with your own vibrational rate. “Once you become in tune with your own vibrational rate you are better able to recognize that rate when distractions occur and hone it to perfection. By recognizing distractions for what they are, ploys to keep you from tuning into your True Self, you are better able to be that True Self on a more consistent basis. 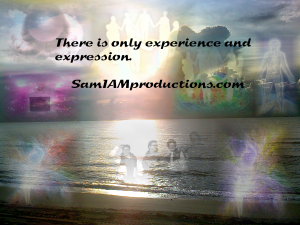 Consider “After Death, Communications…WOW!” Find it only at: Support Your Higher Self! God is perfect health, perfect peace, and limitless love. This Divine Source flows through all things including me. The presence of Infinite Intelligence operates freely within me stopping all negativity. Perfection flows through my blood, as I AM one with Divine Mind. Spirit allows me to grow. All negative senses are effortlessly replaced with a warm sense of my Oneness in essence, and experience, with All the Good There Is. I give thanks to God that I AM guided by Infinite Intelligence clearing all thought of limitation. Perfection manifests the Thing Itself within me throughout eternity as I release this treatment to the Law of Mind. 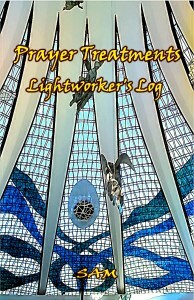 From: “Prayer Treatments: Lightworker’s Log” through which energetic support surrounds you. Get a copy of “Prayer Treatments: Lightworker’s Log” and a FREE “True Vision CD,” to listen to before bedtime, for only $14 including shipping and handling in America, IF ORDERED THROUGH SAM. See Lightworkers Log for details. Find the book also at Print Edition and Kindle Edition. “Allow me to allow you to relish in the Oneness. This Oneness of which I speak surrounds you on a daily basis. It is the Oneness of all life, all beings, every environment of space and time. Allow yourself to relish in this Oneness as things go awry, as you would say. This Oneness is the true nature of all humanity, of all life, of all things in and out of time and space. “The days before you now are fraught with the measures of undue, what you would refer to as, harm. These measures shall last but for a very short time before all quickly changes to become closer to the Oneness in which all within the Reality of One live. Your time on earth is beginning to change drastically. As these days before you go smoothly and effortlessly towards the BEingness of Oneness, let all things fall into place effortlessly. Know that you are the keeper of your own Oneness. There is none other but you to relish in this Oneness of Love, of Light, of unconditional living within the realms of Oneness. “Pay no heed to what goes on around you, unless of course it detrimentally affects your own very survival, your own very being. And yet, as this occurs, one must always remain within the heart. Take the practical steps you feel you need to survive in your world but know that all is truly illusion of your own making. As a soul, you chose a lovely and varied game of lessons, of experiences, of karmic relationships, of karmic deeds to do and undo, and yet as you move through these days know that all is illusion. Your thoughts make this illusion. Your dreams help you to relish in the Oneness. “Be clear in your thinking for every thought is an electrical charge that manifests on some level of reality, your reality. Every thought may be positive, relishing in the Oneness of all life, or negative, wallowing in the separation of fear. Choose love and stay in your heart space to forgo what many now succumb to. Choose love and relish in the Oneness for these days shall not last long but shall affect all on earth. 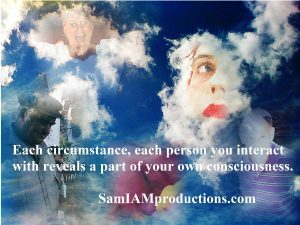 Know this and remain within your heart feeling that Oneness of all life and knowing each condition, each circumstance, each person you interact with reveals a part of your own consciousness. Keep thoughts within the realms of Oneness, of Love, of Light and know that all is ultimately very, very well. * Form and/or participate in local communities of Love and Light. Lightworker’s Log offers several books to increase awareness of Self and raise your vibration. 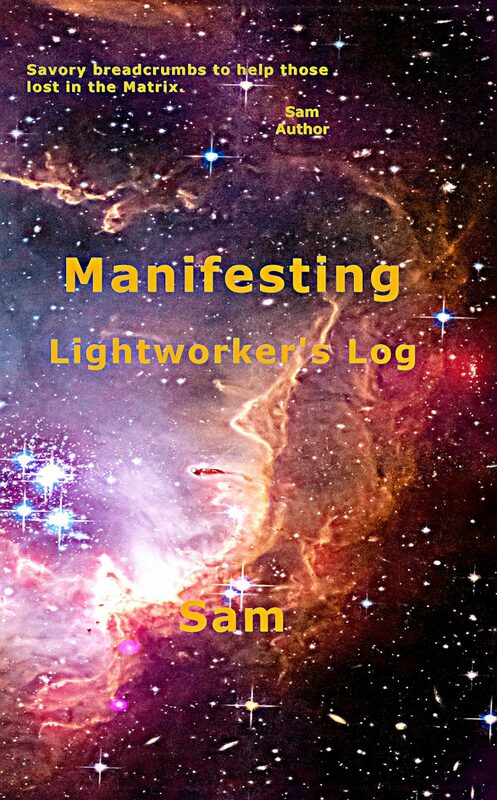 “Manifesting: Lightworker’s Log” is now available through CreateSpace. Manifesting shows how it’s possible to grow in awareness of the Oneness in which we reside. It’s useful for anyone seeking to create a better life for it offers tools and resources to evolve consciously and notes many instances of being in the flow of Spirit. Manifesting also notes physical, mental, and metaphysical signs of an increasing vibrational rate. Support yourself and those who support you. It is as simple as that. Fill your mind with inspirational messages before bedtime with the Book Of One 🙂 Find audios HERE (y) For more information or to connect visit Lightworkers Log! Remember, inspiring and informative messages listened to before bedtime helps to create better dreams and a better waking reality. 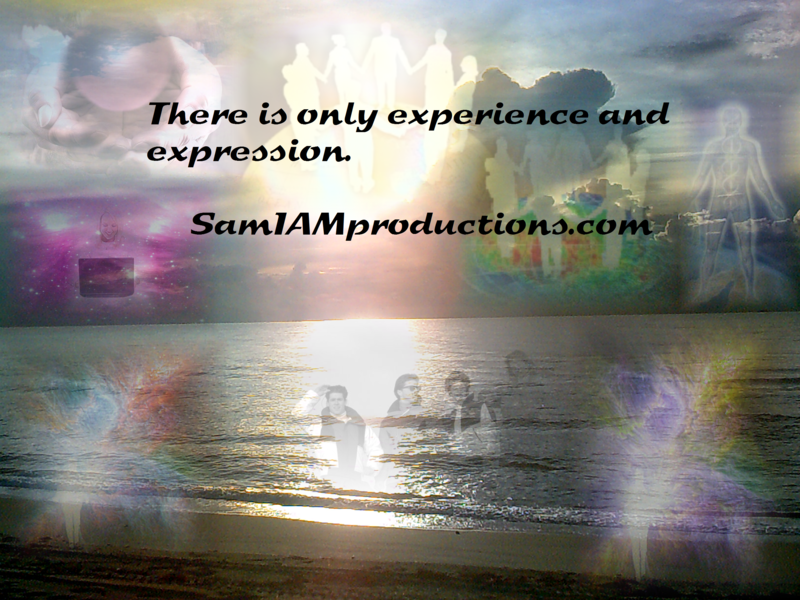 Visit SAM I AM Productions on Word Press OR SAM I AM Productions for book information. “In the coming days there will be many changes on your earth. 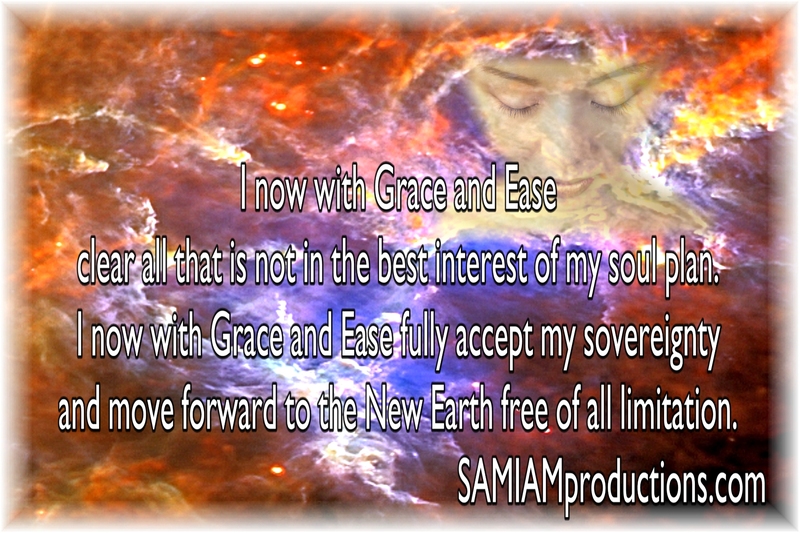 These necessary changes will help all of humanity to move further toward the Oneness of which it truly is. These coming changes will assist humanity in coalescing (joining) with other realms. And in turn, these changes assist higher realms in returning to the true state of eternity for all is not as it was since the first human break from Oneness occurred. “We are the White-Winged Consciousness of Nine here to assist all those humans who wish to move further toward the Oneness of all life. “Beware of your habits, your thoughts, your deeds, and your propensity to move into separation. And be aware that this propensity is the tool that keeps you from evolving back to the True State of One. We are the White-Winged Consciousness of Nine here to help those of humanity who wish to become one with Life again. 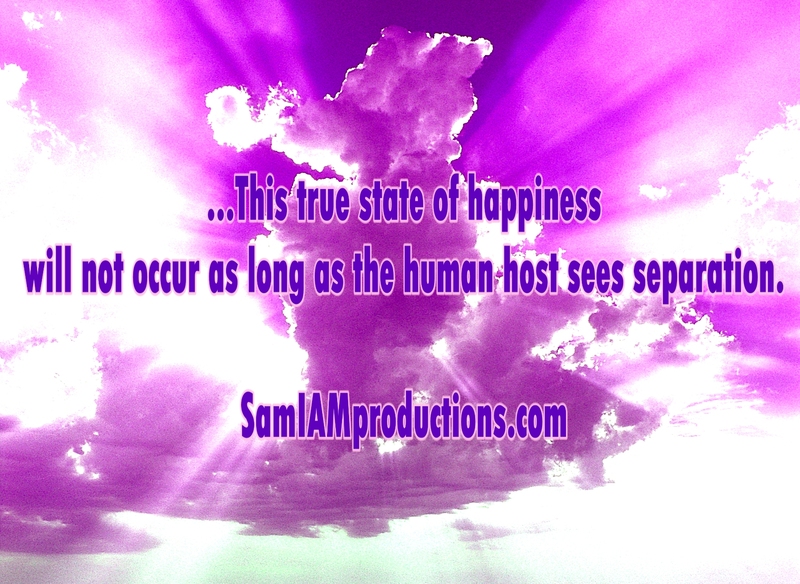 This true state of happiness will not occur as long as the human host sees separation. Support those who support you. It is as simple as that. For more information or to connect visit Lightworkers Log! Remember, inspiring and informative channels are available in Book of One 🙂 available through New Leaf Distributing, CreateSpace, and Amazon and support the author most through iphone link to SAM I AM Productions/ OR PC/MAC link to SAM I AM Productions . As this message came through, a small plane circled above the entire time. I’m now looking for the local Ben & Jerry’s that has free ice cream until 8 pm! “How can we appreciate living in the present moment when we keep dwelling in the past? This is the issue of many in physical form, including my mother. Today we know that living in the present moment is the only way to exist for when we dwell on the past, what happened, what could have been, we stop our self from recognizing the beauty of each present moment. “So how can we live in the present moment? It is a clear matter of choice. We choose to live in the present moment by appreciating each precious moment and stopping our self from dwelling in the past. This is easily done by careful monitoring of thought. Each thought bears an energy signature. Each thought results in a subsequent action, reaction or response. Each thought can carry the thinker to the past, the present or the future. “It is only in the present moment that we are able to withstand daily pressures. It is only in the present moment that we are able to hone our senses and filter out distractions. And that is what this is all about. We are here during these times of unprecedented distractions to learn how to filter them out. ‘How’, you might ask? By being within them, by living within the very distractions we must learn to filter out. For it is only by living within distractions that one learns to live with them and yet filter them out. “For instance, take the example of people who have lived in New York for their entire lives. Many of these people are uncomfortable in areas of silence to the point where they bring some kind of audio device to mimic their hometown, a mix of traffic, sirens, and everyday distractions to help them feel at home so sleep comes easily. “Yes, it is through living within distractions that one finds the daring to trust and move beyond the course of events to create a stillness within one’s self. It is by living within the distractions that one learns the whole of silence is within waiting to be tapped into and explored. Live within the distractions to be able to live within each present moment for soon distractions will rule the day. From “After Death, Communications…WOW!” Find it only HERE! 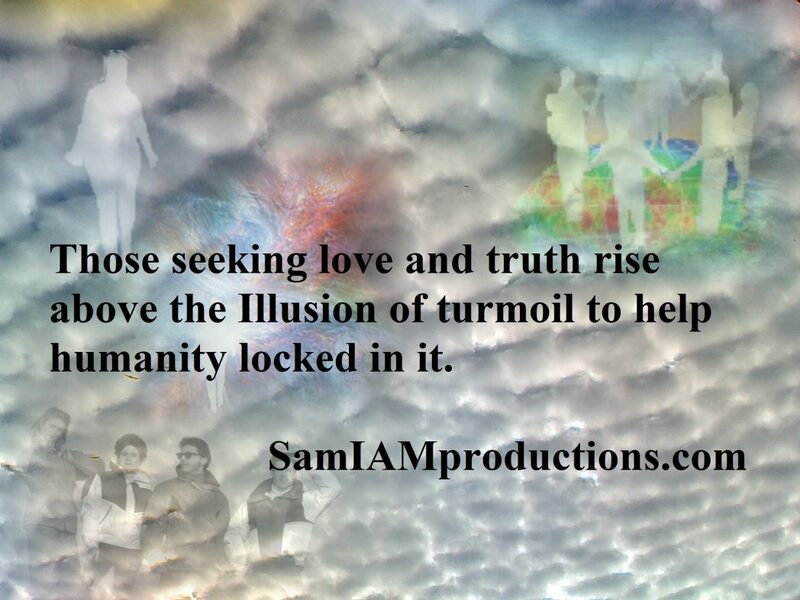 Visit Your Support to support these types of messages and for ascension tools and resources. Hone your intuition by watching the “Soul Tapping Workshop Video” to learn channeling tips. Visit Lightworker’s Log to schedule an Ascension Musing session. From: Lightworker’s Log 🙂 Transformation. Find the book though New Leaf Distributing. Give the Gift of Increased Vibrational Rate to Yourself or Loved Ones O:) and Balance Receiving and Giving While Supporting an Indie Author! Visit Word Press SAM I AM Productions OR PC/MAC SAM IAM Productions for conscious evolution tools and resources! Find “Manifesting: Lightworker’s Log” through Create Space and gift your Self! Give the Gift of Increased Vibrational Rate to Yourself or Loved Ones and Balance Receiving and Giving While Supporting an Indie Author. Visit Lightworkers Log to connect.